A veritable who's who of every important and influential band from the era including Kraftwerk, Devo, David Bowie, Talking Heads and more. 10: KRAFTWERK NEON LIGHTS. 6: DEVO JOCKO HOMO. 12: DAVID BOWIE SOUND AND VISION. 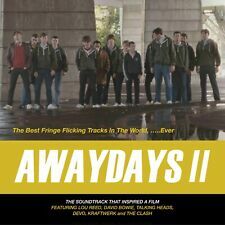 Limited edition 'Music On Vinyl' 2013 reissue on green vinyl in gatefold sleeve. Vinyl unplayed, all in excellent condition. 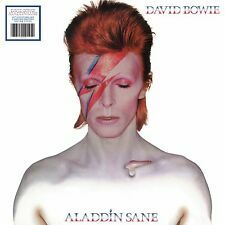 "Aladdin Sane". Limited 45th anniversary edition SILVER vinyl LP. David Bowie. Producer –David Bowie ,Tony Visconti. Written-By –David Bowie. 2 Dirty Boys 2:58. Mastered By –David McNair . 17 I’ll Take You There. 13 You Feel So Lonely You Could Die 4:37. 11 How Does The Grass Grow?. A Big Hurt (3:05). Bus Stop (1:34). 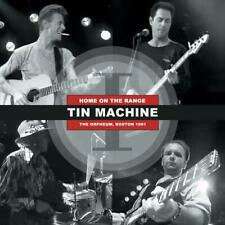 David BOWIE/TIN MACHINE. Under The God (4:13). Stateside (5:11). I Can't Read (5:57). DAVID BOWIE. "THE WORLD OF DAVID BOWIE". Limited Edition Blue Colour Vinyl. Numbered out of 1000. A-Side - That's A Promise 2.19 (Oak Acetate Demo from October 1965 with the lower third). Release is housed in a matte-finish die-cut gatefold jacket with tone-on-tone overlays, LP pressed on 180 gram clear vinyl (advertised and sold as "clear", but is, in actuality, clear opaque) within a clear plastic wallet sleeve, 16-page 12"x12" square booklet insert with tone-on-tone overlays, lyrics and photos, and a coupon with a download code for a digital copy of the full album. Label:RCA Victor ‎– PC 9773, RCA ‎– PC 9773. David Bowie ‎– Wild Is The Wind. Arranged By – Bowie . Written-By – Bowie . Producer – David Bowie, Harry Maslin. A Wild Is The Wind. Format:Vinyl, 12", 45 RPM, Single. 45th anniversary limited edition SILVER vinyl. Mint, new & factory sealed. Perfect "just left the factory" condition. In gatefold sleeve. A1 Space Oddity. LTDedition of 100 on blue vinyl. B4 Life Is A circus. B3 When I'm Five. B2 Love Song. David bowie blackstar red vinyl. New mint condition. Reselable cover. David Bowie - NIGHT IS ALL - Orange Vinyl LP - Limited Edition - Rare ! DAVID BOWIE / MARLENE DIETRICH - Revolutionary Song / Just A Gigolo NEW/SEALED NUMBERED 7" BLUE VINYL. Limited to 7000 Numbered Copies on Blue Vinyl. C2 David Bowie Impersonates Various Artists (1985). D5 (She Can) Do that - David Bowie Demo With Kristeen Young Vocals (2005). A1 You’ve Got A Habit Of Leaving - Alternate Overdub (1965). A2 Even A Fool Learns To Love - Rare Longer Version (1968). David Bowie narrates Prokofiev's 'Peter And The Wolf'. on rare original Green vinyl USA 1st pressing LP in picture sleeve with die cut poly lined printed inner sleeve & paper labels & insert. A great example of this Green vinyl USA 1st pressing with the insert ! Label: Parlophone. Year: 2018. Format: Vinyl Record - LP. (Limited Edition Red Vinyl Pressing in Picture Sleeve, complete with inner sleeve). Planet Earth Records is run by Records Collectors for Record Collectors. EUROPE - WALK THE EARTH 7" COLOURED VINYL IN ZIP BAG - RECORD STORE DAY RSD 2019. Condition is New. Dispatched with Royal Mail Signed For® 2nd Class. A Unwashed And Slightly Dazed. DAVID BOWIE/MARLENA DIETRICH - REVOLUTIONARY SONG/JUST A GIGOLO. 7” BLUE VINYL. REVOLUTIONARY SONG/JUST A GIGOLO. DAVID BOWIE/MARLENA DIETRICH -. 7” BLUE VINYL. B2 When I Live My Dream – Remix From The 1984 LYTT LP Release (1969). hit song Space Oddity which can be found on this LP as well in a nice live version from the 1970 Ivor Novello awards. This LP contains a collection of rare alternate and demo recordings from the sixties and including the 1970 Looking Glass Murders. A4 Cracked Actor. B2 Cracked Actor. A1 I'm A Collector. Gold vinyl. B1 All The Young Dudes. B5 John, I'm Only Dancing (Again) Take 1. You Pretty Things". Complete Show and Rehearsals recorded at Odeon Theatre, Lewisham, London 24th of May 1973. A5 The Wild Eyed Boy From Freecloud/All The Young Dudes/Oh! You Pretty Things. D2 Cracked Actor. 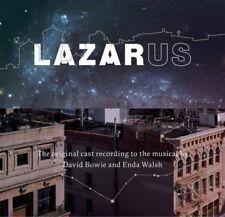 4 - I GOT YOU BABE - DAVID BOWIE & MARIANNE FAITHFULL. 1 - SPACE ODDITY. 1 - WILD THING - THE TROGGS. 3 - THE JEAN GENIE. 3 - STRANGE MOVIES - THE TROGGS. 4 - EVERYTHING'S ALRIGHT. DAVID BOWIE SEE IT IN MY EYES on 180g BLUE VINYL Cat No: ROXMB050-C side one: 1. Look Back In Anger 2. What In The World 3. Red Sails 4. White Light/White Heat 5. Cracked Actor side two: 1. Recorded At –Sigma Sound Studios. Recorded at Sigma Sound Studios, Philadelphia 8-23 August 1974. These are incomplete versions from a very rare reel to reel tape. These are the only available versions of these takes. Cat#: ROXMB009. David Bowie - Tokyo. Vinyl, LP, Numbered ,Fluorescent Yellow. Art Rock, Glam. Sleeve Condition: Mint (M). DAVID BOWIE. nd BEST OF BOWIE Album. A4 PROMO INFO SHEET. This follow up to David’s hugely successful first Best Of. BLUE VINYL 1st EDITION. CHANGES TWO. The 180gram BLUE Vinyl - opened to check colour. 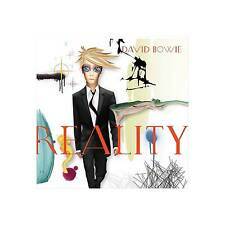 The stark reality ofDavid Bowie 's 2003 album Reality is that there really isn't any concept. The vivid, wildly impressive result is one of the most powerful sets of songs in Bowie's illustrious body of work. Vancouver Rehearsals Bowie. David Bowie. 2x LP 12" Orange vinyls. Numbered / 500. Heathen -- U.S.A. Vinyl LP pressed in Blue Vinyl by Record Technology Incorporated. Limited Edition still sealed, Tri-Fold, stickered sleeve. Still sealed complete Mint condition. Title: Heathen. Limited 180gm colored vinyl LP pressing. Heathen (The Rays). Artist: David Bowie. Attributes: Colored Vinyl, Ltd Ed, 180 Gram, Anniversary Ed. Format: Vinyl. Condition: New. I've Been Waiting for You. UK limited numbered editon box set. Contains red vinyl single, stickers and biography sheet. Cat#: ROXMB028. David Bowie - Never Let It Rain. Vinyl, LP, Unofficial Release,Clear. Sleeve Condition: Mint (M). David BOWIE. Noise Angel (limited heavyweight purple vinyl LP). A Small Plot Of Land (6:32). We Prick You (4:35). The Man Who Sold The World (3:44). Breaking Glass (3:42). B1 – David Bowie Occasional Dreaming. 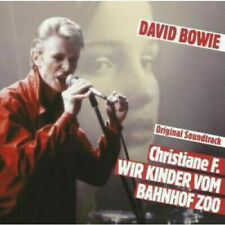 A2 – David Bowie A Social Kind Of Girl. A4 – David Bowie Life Is A Circus. A5 – David Bowie When I'm Five. A6 – David Bowie C'est La Vie. A7 – David Bowie London Bye Ta Ta. 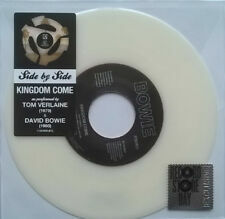 12" LP White Bone Splatter Vinyl. David Bowie. Birth of the Spider. Limited Edition. The cover and contents suffer from folding, scuffing of edges, spine splits, discoloration, etc. THIS SALE IS FOR THE ULTRA RARE 2 X 12" YELLOW VINYL RECORDS AS PICTURED. NEAR MINT (NM) – The vinyl/sleeve are virtually unblemished. THE WORLD OF DAVID BOWIE - (RSD 2019) BLUE LP VINYL. Decca launched its much-loved World Of Series in 1968. Imagine the shock people had thinking they had The Jean Genie when all they had was Uncle Arthur and Little Bombardier. 1xOperation Moonbeam ~ Who Dialed the Wizard ?. DAVID BOWIE. retro style inners & repro folded N.M.E. insert David Bowie front cover. 2x 12” White LP vinyl with light marble effect. UK.Wembley Empire Pool 1976. B1 The Man Who Sold The World 3:59. A4 Dead Man Walking 4:06. B6 Heroes 6:28. B5 White Light, White Heat 3:39. B4 Repetition 2:58. B3 Andy Warhol 2:27.